The 9. 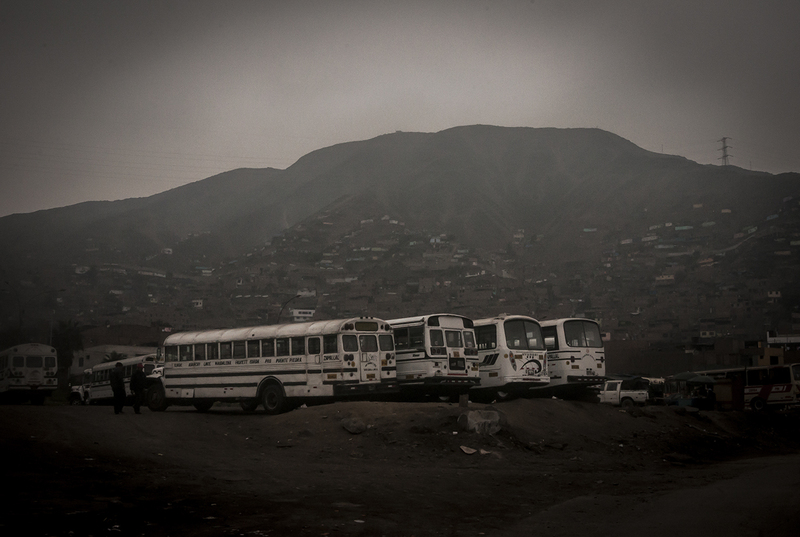 Public transportation in Perú is one of the worst in South America. Its informalization has made almost impossible to rearrange it. Paradoxically, its gremial organization (or the ones who run the business) are solidly connected and the route adjudication is a juicy interest for a city hall well known for its bad reputation. “The 9” travels in two routes: the longest of Lima, number 9, Santa Rosa de Lima, goes from Rímac to Zapallal. Only one way may last until 5 hours. The second route, letter T, goes from Chorrillos to San Juan de Lurigancho, 4 hours approx., es the route that I’ve used the most in the last five years. This was an assigned professional project. Actually I’m looking financing to deepen in both routes, in their drivers and ticket collector man and woman.